Stress can sneak up at any time. 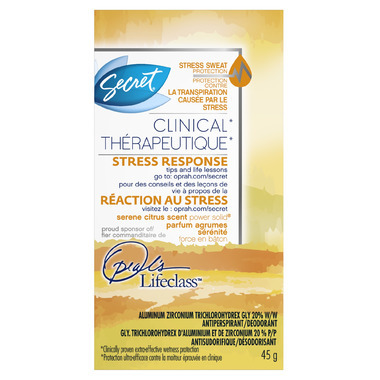 Prevent your worst smelling stress sweat with this Serene Citrus Scent scent. Best deodorant I have ever used. Just purchased this and it really does stand up against stress sweat. I barely put any on and its' enough! This is going to last me a LONG while. Well worth the money.